Revolver’s tried and true USA handcrafted PG eLiquid has been formulated to ensure a smooth and satisfying draw every time. PG Premium Flavors Choose an optionApple SplashBeast EnergyBleeding KnightBlue Raspberry RushBlueberry BlitzBomber PopsCherry ChargeCinnamon ChurrosCinnisterCola RedCranberry PeachDark CoastDivineEnergy BullEternalExtreme SpearmintFruit CandyFruit PunchGummy BearsJack of ApplesJuicy GrapeLatteLemonberry BlueMoon BerryMountain BlastOrange CherriesOrange CreamsiclesPapaya MangoPiña ColadaPineapple Rum CreamRainbow CandyRaspberry LemonadeRed Citrus SodaRY4Sour Watermelon GummiesStrawberries N'CreamStrawberryStrawberry BananaSuicide SlushieTaffyVanilla LushWatermelon ShockYo Dude! Papaya Mango – Woah! Tropical alert in! Juicy papaya blended with mangos! Red Citrus Soda – Strawberry soda mixed with lemonade! Yo Dude! – Flown in straight from a tropical island! 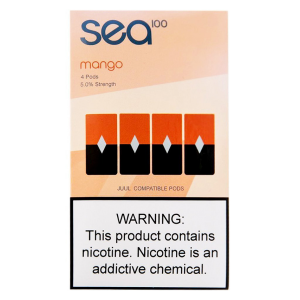 Pineapple, peach, and mango will have you relaxing on a beach in no time! Apple Splash, Beast Energy, Bleeding Knight, Blue Raspberry Rush, Blueberry Blitz, Bomber Pops, Cherry Charge, Cinnamon Churros, Cinnister, Cola Red, Cranberry Peach, Dark Coast, Divine, Energy Bull, Eternal, Extreme Spearmint, Fruit Candy, Fruit Punch, Gummy Bears, Jack of Apples, Juicy Grape, Latte, Lemonberry Blue, Moon Berry, Mountain Blast, Orange Cherries, Orange Creamsicles, Papaya Mango, Piña Colada, Pineapple Rum Cream, Rainbow Candy, Raspberry Lemonade, Red Citrus Soda, RY4, Sour Watermelon Gummies, Strawberries N'Cream, Strawberry, Strawberry Banana, Suicide Slushie, Taffy, Vanilla Lush, Watermelon Shock, Yo Dude!